On Friday, after a week of questions from investigative reporters, Facebook suspended Cambridge Analytica and parent company Strategic Communication Laboratories (SCL) from its platform. The suspensions came late in the game, news outlets are charging, given that Facebook has known about this for three years. Facebook, for its part, claims that the parties involved lied about having deleted harvested data years ago. At least one of the parties involved has shown evidence that points to Facebook having done very little to make sure the data was deleted. Not surprisingly, Facebook immediately pushed back against the characterization of a massive data leak in an update to its initial announcement of the suspensions. It said that the data got out not through a leak but because some 270,000 Facebook users willingly signed up for a Facebook personality test called thisisyourdigitallife that billed itself as “a research app used by psychologists.” The Observer reports that the dossier includes emails, invoices, contracts and bank transfers that reveal more than 50 million profiles – most of which belong to registered US voters – that were harvested from Facebook. Facebook has suspended Wylie from its platform while it carries out its investigation. You might well question how 270,000 people signing up for a Facebook personality quiz blossomed into a potential data breach affecting 50 million users – nearly 25% of potential US voters. As The Observer describes it, the app scraped not just test-takers’ private profile data, but also that of their friends. Facebook didn’t disallow such behavior from apps at the time, but such data harvesting was allowed only to improve user experience in the app, not to be sold or used for advertising. Of the 50 million profiles scraped (only 270,000 of which belonged to users who’d granted permission), roughly 30 million contained enough information, including places of residence, that the company could (at least theoretically) match users to other records and build “psychographic” profiles. Developers who use RubyGems or npm on GitHub should be sure to enable security alerts, and those who use Python should keep an eye out—the alerts will be added to Python dependencies later this year. With over 75% of GitHub projects using shared dependencies, there's a good possibility that at least one of the projects you're involved in could benefit from security alerts. They aren't enabled by default, however, so you'll need to toggle a few settings to turn them on. With more than 500,000 libraries being vulnerable to upwards of four million issues there's a good chance code you're involved with is affected, and GitHub is making it easy to fix the problem. According to CTS-Labs researchers, critical vulnerabilities (RyzenFall, MasterKey, Fallout, and Chimera) that affect AMD's Platform Security Processor (PSP) could allow attackers to access sensitive data, install persistent malware inside the chip, and gain full access to the compromised systems. 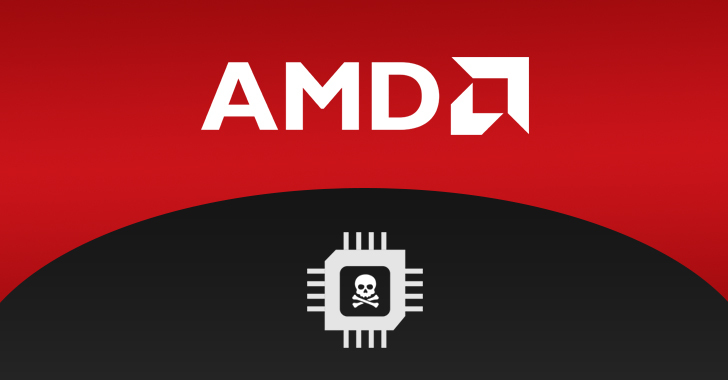 In a press release published by AMD on Tuesday, the company downplays the threat by saying that, "any attacker gaining unauthorised administrative access would have a wide range of attacks at their disposal well beyond the exploits identified in this research." Infosec experts and journalists embroiled CTS Labs into controversies by raising questions over the way it disclosed vulnerabilities details to the public in less than 24 hours after notifying AMD. According to Ilia Luk-Zilberman, CTO of CTS-Labs, the current process of 'Responsible Disclosure' has two significant problems: 1) If researcher gives a 30/45/90 days limit to the affected vendor, it's extremely rare that the vendor would notify its customers about the unpatched security vulnerabilities during this period, leaving them unaware of potential risks. 2)If vendors do not respond or patch the vulnerability during this 90-day disclosure period, researchers can proudly prefer to go public with full technical details of the flaws, ultimately putting their customers at risk. Real-time certificate transparency log update stream.